It has been a couple of months since part 4 of this article appeared and work has just started on the deck. We ran into some problems with the county health department that had to be sorted out. 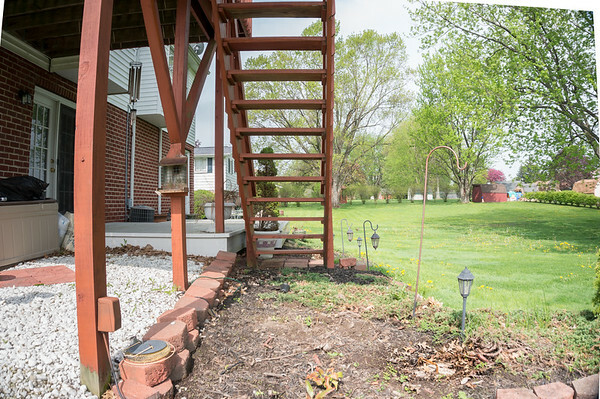 The 3 existing supporting beams of the upper deck were within 10 feet of the septic tank and we had to request a variance before building could start. Although it passed inspection when the house was built, the regulations changed a few years ago and we had to take care of that. You never know what is going to happen when it comes to adding onto your house. While waiting on the building to start we removed all of the plants from the rear flowerbeds and most of the brick that was placed there 10 years ago. No sense doing anymore and having it destroyed in the building process. 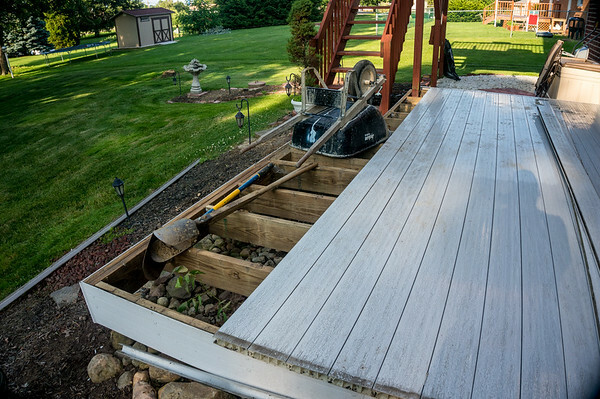 Once the deck is enclosed we will finish the flowerbeds, plant grass, etc. 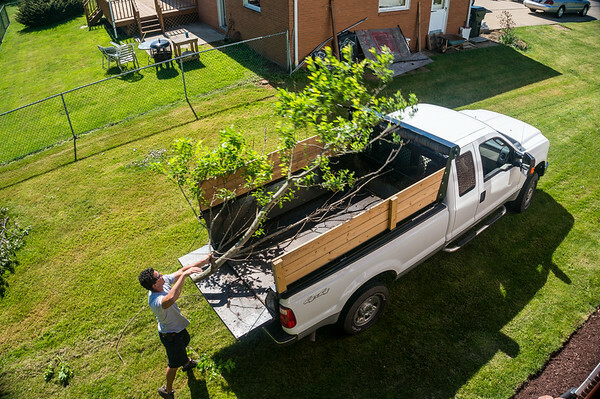 We also removed a tree that was partially dead. Right now it looks pretty bad in the backyard, but that will change soon. The big problem was that the work was originally planned for May and now we are at the end of June. On Friday June 27th the building crew arrived early morning and dug the hole for the new post that supports the add-on portion of the deck. The support post needed to go through my lower deck which required dismantling part of the lower deck. The new post is over 10 feet away from the septic tank so no code problems. 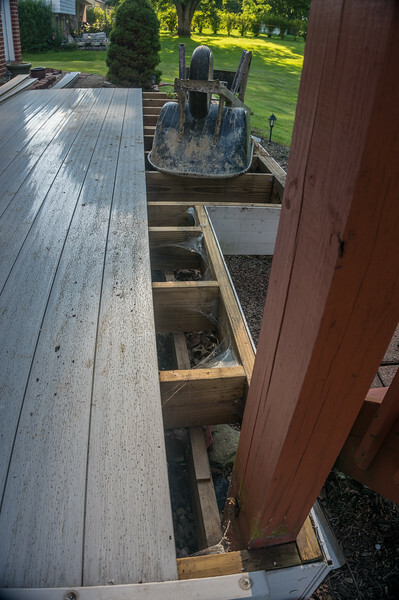 One of the existing posts also goes through the lower deck so nothing new, it Just makes you nervous to see your deck get torn apart and holes cut through it. The real work will start on Monday the 30th. I will keep you posted on the progress. What to read the previous 4 posts leading up to construction? Stay tuned for construction updates this week, unless it rains and delays everything!